Over the next 3 weeks I'm aiming to donate to two different shoe box appeals. 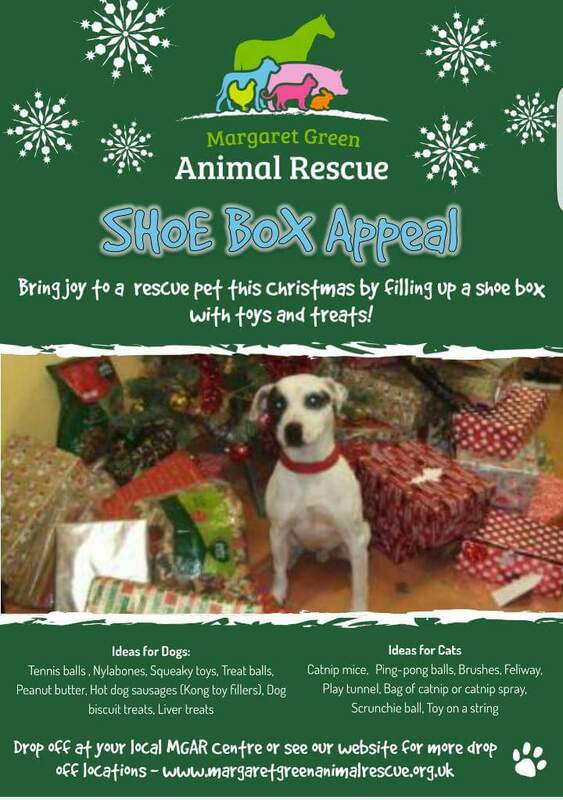 My first shoe box appeal is to the local animal sanctuary that houses cats, dogs, rabbits, pigs, ducks, chickens, horses, goats and other various animals. I love my animals and I'd do anything I can to help if and when I can. So this year I will be attempting to send in 5 complete dog boxes and 5 complete cat boxes. As well as various animal bits and pieces. For this challenge I have given myself 2 weeks to get as many shoe boxes as I can and fill with as many animal bits that I can. I already have tennis balls for dogs and a variety of different treats for dogs. I would like to get a few chews and things for the dogs though before wrapping up their shoe boxes and handing them in. Have you ever given to a shoe box appeal? This will be my second year running and I would love to continue as myself I think the best gift is to give to those less fortunate then ourselves. Does your hot drink often go cold? ?